There is something happening every evening in Shawlands. The nights are filled with live music, pub quizzes, open mic, trad music sessions, comedy nights, murder mystery, bingo and of course plenty of award winning restaurants to cross off your list. For the weekly events of each venue check out their facebook pages. Great food, music, drinks and atmosphere Phillies has it all, and with this line-up of monthly events there's plenty to keep you entertained. 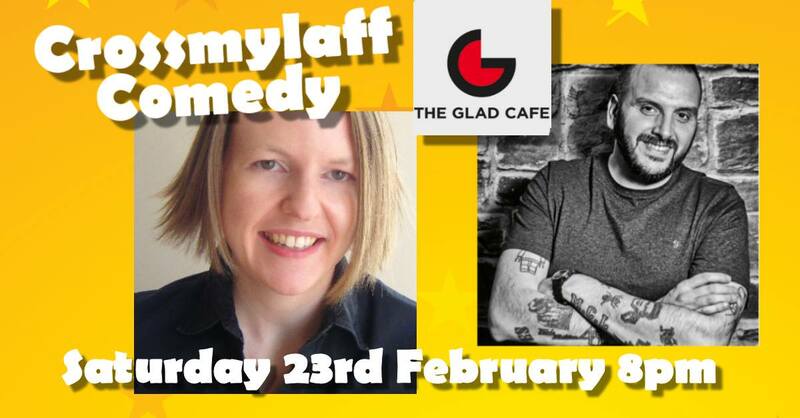 Saturday night stand-up comedy at The Glad Cafe, Shawlands, featuring a packed bill of the best in current Scottish comedy. Top professional acts plus our prime picks of up and coming local stand-up comedy talent. Elaine Malcolmson, John Gavin, Declan McGuigan, Kate Dillon and Kevin Gilday. Born and raised in Northern Ireland, and now living in Glasgow via a stint in Wales, Elaine Malcolmson is known for her deliciously dry humour and original take on everything from current affairs to colouring in. A former Scottish Comedian of The Year, John Gavin will be opening our show. "His effortless likeability and unaffected charm make his conversational set all the more engaging... a class act" - Chortle. "Brilliantly funny evening, superbly hosted and a tremendous atmosphere." Tickets on the door (if available) £13 cash. Advanced purchase recommended, these events often sell out in advance. The butterfly and the pig South kick off their regular murder mystery events in 2019 with an old favorite 'Death By Chocolate'. Your night will take a dramatic twist as a serious crime is committed during your dinner service and your job is to gather clues and help to bring the guilty party to a swift justice all in time for desert! Your ticket includes a delicious 3-course meal and your evening's entertainment. The Southside Fringe is an award winning 16 day annual festival held in The Southside. The festival brings a unique spotlight on the rich and varied entertainment, cultural and community events available in the southside with a mix of well established and special one-off events. The fringe has also acted a launchpad for well established regular events we can enjoy all year round. The festival team bring together those with an event in mind with the most suitable venues and go on to provide marketing support for the events. Follow their facebook page for updates on this year's hotly anticipated event. The Shed bring regular tribute nights to Shawlands alongside their neighbours The butterfly and the pig South who provide a meal and gig combo offer thats not to be sniffed at. Enjoy a 2 course meal and a ticket to a gig for a cracking price. Please contact us if you have any questions, queries or great ideas!